How TM Made Me Care Again. 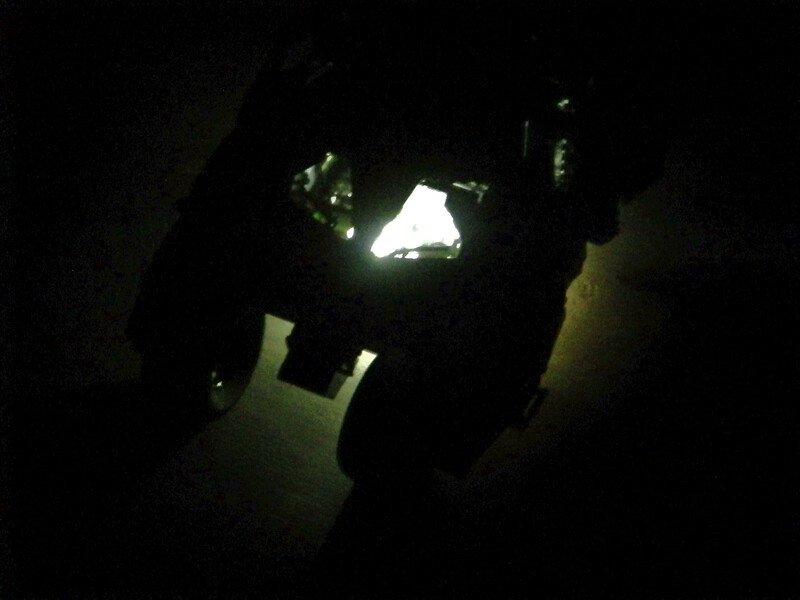 Night Shot of the Lego Tumbler lit from underneath. Our strength is determined by how we deal with our lives. How we handle adversity and how we talk to others when we’ve screwed up. After I started TM (Transcendental Meditation) I sat down with my wife and told her all the times i thought I’d screwed up in our relationship and with our kids. It was the first time I felt like I’d accepted responsibility for something bad that I’d done. My wife forgave me for the things which had happened and we’ve been doing better since, but I’ve been wanting to have a family project, something all of us could do together. Family game night failed and I found my opportunity in July, when Lego decided to make a larger scale Lego Batman Tumbler. It was something I knew my son would love, he’s always loved Bats and he’s a Lego fiend. We started last week with 12 bags of Legos and we finished it on Monday, my son putting the final pieces together. My wife and spent a few nights putting together the Tumbler and my son and I spent time doing the same. It was the first time my wife and I had done a project together since we put our son’s bed together, he’s 10. Building it was frustrating, irritating and fun all at the same time. I learned my son is an amazing Lego builder and my wife gets more frustrated than I remember. All of us had fun building it, our four-year old was too small, but she loved to watch it come together. TM brought out the best in who I’ve been, it scuttled the rest and I’m discovering my life, kids and how much I truly love my wife all over again. I know that life hasn’t always been good, and there will be rough patches, but when things get bad I now have something that can help me get through those rough patches better. My wife and kids are important to me, possibly more than they know, and I’m learning to accept that I wasn’t always a great dad or husband before TM. I know I’ve found something that has altered my perception of who I am and it’s been an amazing ride and it’s something I will do for the rest of my life. I will work to get others to do it, not just because I’ve seen the benefits in myself, but I know the benefits can change who you are, and I’m really liking who I am right now and it’s been a very long time since I was able to say that. Previous Post Previous post:How Transcendental Meditation Changed Why I Write. What if I already have On Writing?